MacArthur Center is a two-story retail complex located at the NWC of MacArthur Boulevard and Highway 183 in Irving, Texas. 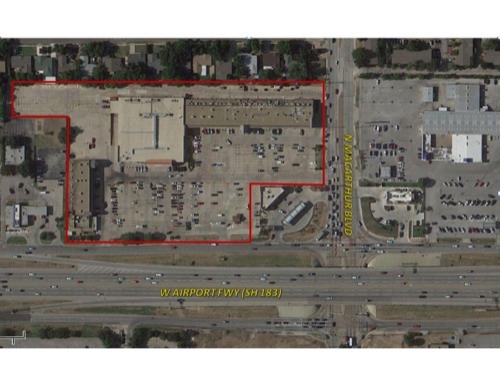 The property has great visibility to Highway 183, offers abundant parking, and is in close proximity to I-35E in Dallas and Highway 360 in Arlington, Texas. The center is home to a variety of neighborhood services and is anchored by Fiesta Mart. Major tenants include Liberty Dialysis, H&R Block, Pizza Hut, Jackson Hewitt, My Children’s Medical Center, WIC and Mega Tan.